Me and my wife Lida, we each have our own motorbike (lucky we are). The pictures above are taking during the VMTC Motoray 1997. 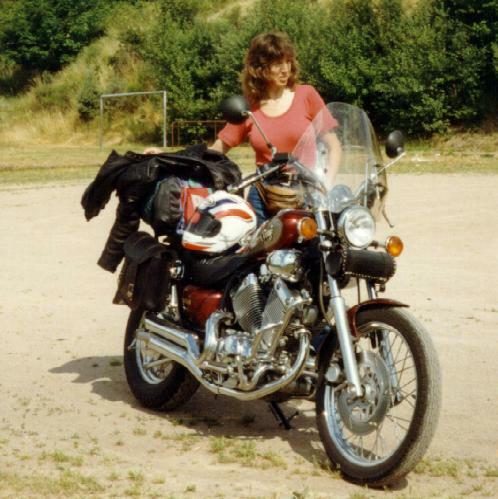 Left is me on my Yamaha Diversion XJ900S and right is my wife Lida on her Yamaha Virago XV535S. 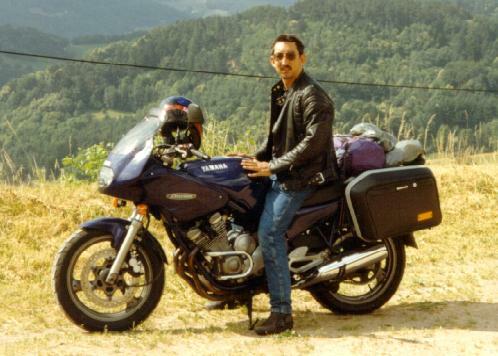 I started with a purple Yamaha Diversion XJ600s model 1993, bought in 1992. The picture below was taken on a summer holiday in France in 1994. 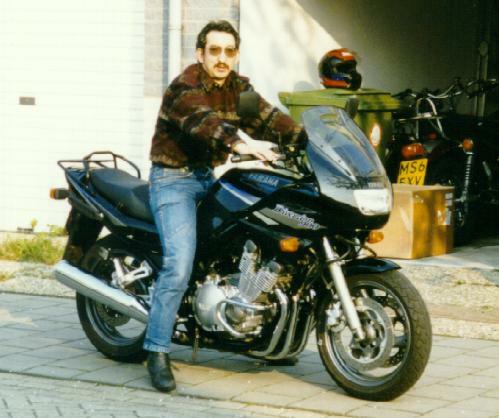 In 1994 came the new Diversion XJ900s on the market and I was one of the first buyers. You won't see much difference between the XJ600s and XJ900s but it has more power and a shaft drive. 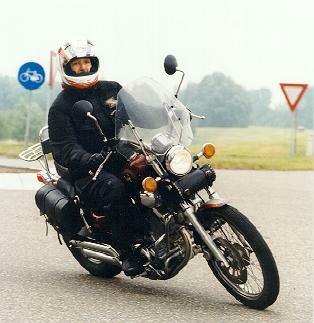 I'm also an active member of the Yamaha Diversion Club Nederland, in fact, I'm responsable for YDCN pages on the internet, organizer of all the events and member of the staff. 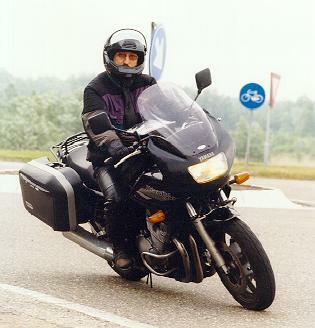 My wife Lida has here own bike, first a Suzuki GS500E but at the moment a Yamaha Virago VX535s. Our plans for the future? Well, a Yamaha Diversion XJ1200S if it will come ever. And for my wife, we think about the new Yamaha Drag Star. We only have doubts about the power of this machine. 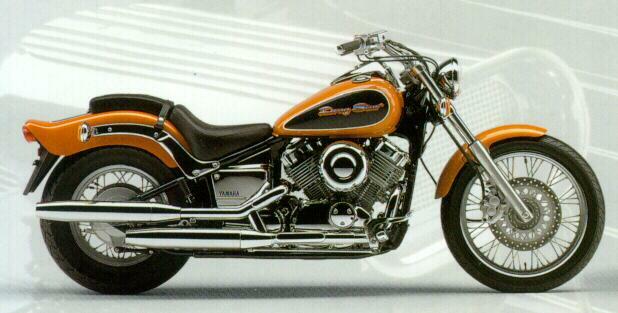 Although it is a 650cc Virago engine, it has less power than the Virago XV535S. So perhaps better to wait for a more powerfull Drag Star. Also the machine has a little bit too much plastic parts.